Mark started his archaeological career as a teenager in 1984 working on Suffolk sites such as the Saxon settlement at Staunch Meadow, Brandon, and the Roman fort and town at Pakenham before becoming a full-time project assistant with Suffolk County Council Archaeological Service in the late 1980s. 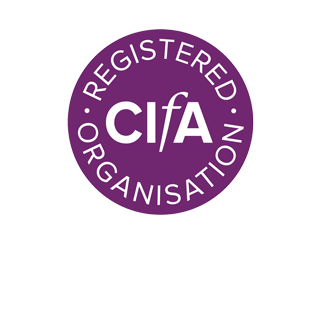 After obtaining a BSc in Archaeology from Bournemouth University he was promoted to the position of Project Officer in 1995. Mark has substantial experience in the direction of all types of archaeological field projects and report production and has worked on a large number of sites dating from the Neolithic period through to WWII. His specialist interest is in the post-medieval period with particular reference to 19th and 20th century industrial sites as well as 18th century through to WWII military sites and fortifications. 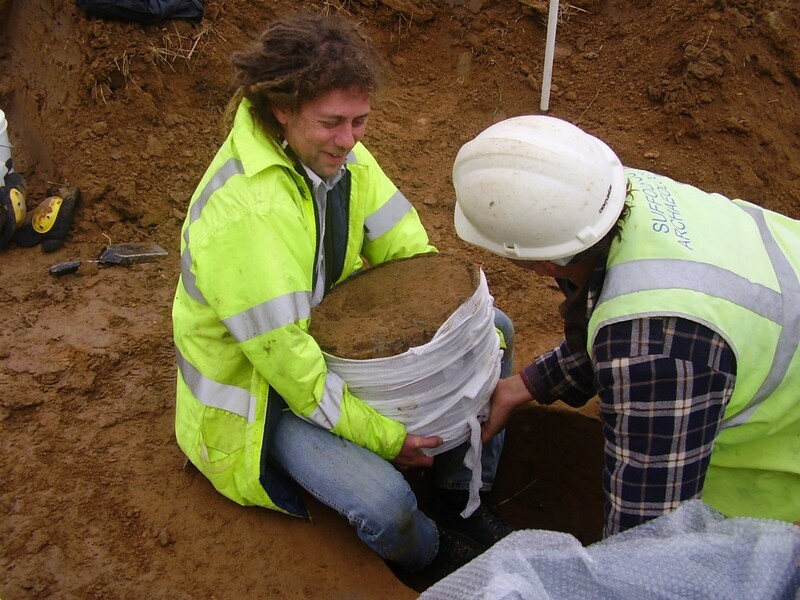 Mark continues his role as a Senior Project Officer at Cotswold Archaeology. As well as site direction he also produces desk-based assessments and carries out Historic Building Recording. 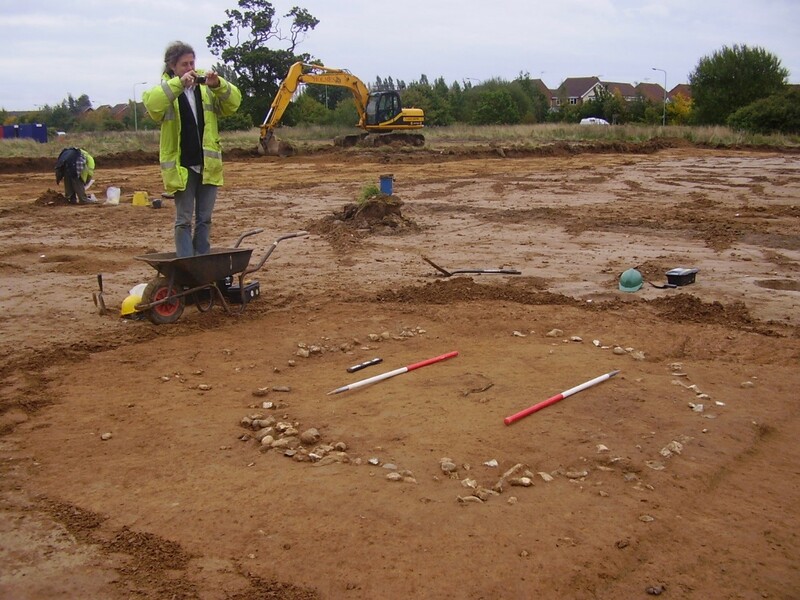 One of Mark's favourite sites was a Middle Bronze Age cremation cemetery at Sproughton, Suffolk which was excavated in advance of the construction of a sixth form centre. The excavation revealed the truncated remains of nineteen cremation burials, all but two of which were contained in urns, in a rectangular group measuring roughly 20m by 35m. Radiocarbon dating of cremated bone from six of the burials ranges from 3229±23BP to 3079±26BP, which would place the cemetery in the first half of the Middle Bronze Age period and a period of use of c.150 years. One burial monument, consisting of a small ring ditch measuring c. 2.8m in diameter and concentric with urn 0092, was recorded. Its presence was extremely hard to detect and it was only recognised due to a denser concentration of flint nodules present in the fill, possibly the remains of a stone cairn built over the burial but perhaps more likely to be from the erosion of an earthern mound which left the heavier flints in the ditch. The cremation vessels varied considerably in size and degree of ornament but were characterised by a style of form and decoration that has parallels with urns of the Middle Bronze Age, ‘Ardleigh style’, a derivative of the Deverel-Rimbury tradition. Mark subsequently wrote the post-excavation assessment report for the site, and it is to be published within a future East Anglian Archaeology volume on Bronze Age funerary sites in Suffolk.